Hanson is an American pop rock band formed in Tulsa, Oklahoma, by brothers Isaac (guitar, piano, vocals), Taylor (keyboards, piano, guitar, drums, vocals), and Zac Hanson (drums, piano, guitar, vocals). They are best known for the 1997 hit song "MMMBop" from their major label debut album Middle of Nowhere, which earned three Grammy nominations. Despite the enormous commercial success of Middle of Nowhere, the band suffered from the merger that eliminated their label, Mercury Records. The group was moved to Island Def Jam Music Group, which they eventually left after conflict with the label about creative input. 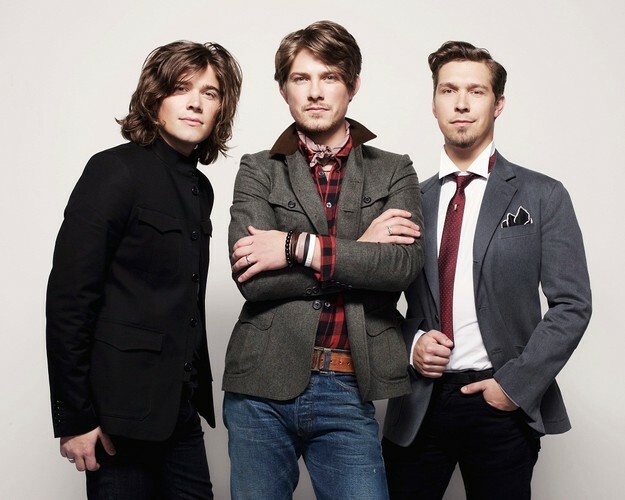 Hanson have sold over 16 million records worldwide and have had eight top 40 singles in the UK and six top 40 singles in the US. The band now records under its own label, 3CG Records.